I had a fantastic time working with you this past semester. It was a pleasure to work with all of you on your various multimedia projects and semester-long blog assignment. 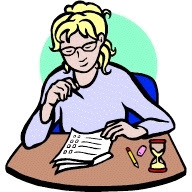 Continue work on your final reporting assignment (video project) - due Dec. 9. Do you need to know how to export from Adobe Premiere so that the production can be uploaded to YouTube? Choose File > Export > Media. Premiere opens the Export Media dialog box. On the Format pulldown menu, select the file format you want for your exported file. I recommend H.264. Also, you should click the link after "Output Name" and re-name your clip and navigate to a location where you want the mixed down exported clip to be located. Then, click the Export button at the bottom of the window to begin the export. Once it is exported, you should then be able to upload it to YouTube. Please upload your finished video to YouTube and then embed it into your blog. Creating a strong photojournalism project requires careful planning and consideration. A well-composed photograph can have a strong impact by itself, but it can really come to life when you add thoughtful narration to it for your production. 7 Photojournalism Tips by Reuters Photographer Damir Sagolj from Thomson Reuters Foundation on Vimeo. "No Picture Tells the Truth. The Best Do Better Than That." The National Press Photographers Association (NPAA) recently published a four-part series that shows the results of a study exploring how people view, value and interpret journalistic photography. One of the basic multimedia skills that Web editors/producers use is audio editing. As you strengthen your technical skills for audio editing, you can use this knowledge to produce your own audio news segments, podcasts and even narrated slide shows. The same skills are also transferable to video editing (which shares a similar "timeline-based" interface). Write and produce an audio news or podcast production. Duration should be approximately one and two minutes in length. You may complete this production alone or with up to one other person on your team. Tell a news or feature story with a production that includes a narration and/or integration of audio interview segments from at least two sources. THIS PRODUCTION IS NOT A SIMPLE READING OF YOUR SCRIPT/WORDS. You should include music or other production elements to bring the story to life. Some examples of existing productions are at the end of this post. Use Audacity or another editing program to edit and "mixdown" this production into a single audio file that will be posted on your genre-specific blog.You can use a file-hosting service (such as SoundCloud) to create an embeddable version of your audio production when completed. Please note that SoundCloud supports uploading of audio files in these formats: AIFF, WAVE (WAV), FLAC, ALAC, OGG, MP2, MP3, AAC, AMR, and WMA files. If your file type for importing audio is not supported or working, you may need to install the free FFmpeg encoder. Visit this page for the free FFmpeg plug-in and instructions. Some students prefer to export their files into an .mp3 file, which is a popular digital music format that is compatible with various portable media devices. Please note that .mp3 compatibility is not built in by default within Audacity. It requires that you download the external LAME MP3 encoder, which you can download for free. To get and install this free Lame MP3 codec, visit this page. Your new website needs even more content! After reviewing the first attempts at "traditional reporting," it has come to my attention that many students still need to practice this important form of journalism. In particular, students should sharpen their writing skills to create content that is newsworthy and neutral in voice and tone. Thus, the third assignment is another written reporting piece in a "traditional news" style. What should you write about? You decide the topic -- but choose wisely! Make sure that the topic aligns with the theme or "beat" of the semester blog project. Sources: For our reporting assignments, there are rules and guidelines on who you can/should interview. For this assignment, you are required to interview at least two human sources. Citing other publications is not considered a source. Also, please avoid anonymous sources and do not use friends, roommates or family for your interview subjects. Pay close attention to the opening of your piece. What type of lede will draw the reader further into the story? For a more traditional "news"-style piece, make sure to communicate the key newsworthy details in the first sentence or two to establish relevancy. Add context and perspective to your story by interviewing at least two original human sources. How will you weave the best quotes into your story? Was the story relevant to the team blog topic? Did the story include two separate interviewed sources? Did the interview subjects add a credible, informed perspective to the story? Was the source selection appropriate given the topic selected? Was the writing quality and grammar acceptable? Is there news value to the story topic selected? Was the writing clear and concise and plagiarism-free? Was there a summary news lead? Was there a logical order to the information presented? A very common program used for audio editing is Audacity. This is a free "open-source" program that can be used on either PC or MAC platforms. Unless you are familiar with and/or prefer another audio editing program, it is recommended that you use Audacity to complete this week's audio reporting assignment. 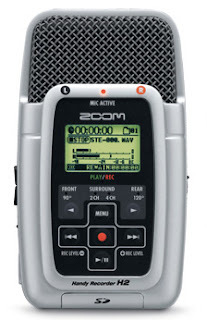 Students will get basic training on how to record and edit in Audacity in COM 210. However, I've recorded a very basic refresher tutorial that shows how to record, import audio, conduct basic edits and export in Audacity. Take a look if you need a reminder on how to use Audacity! In addition to Audacity, there are several free or low-cost audio editing programs available for computers and mobile devices. One of the more popular options is Adobe Audition, which is part of the Adobe Creative Cloud suite. However, there are several alternative audio editing programs that you can also use to complete this production. For example, many Mac users already have GarageBand installed on their computers. If you are interested in recording audio only, you have several options. Many computers have a mic jack that allows you to directly connect a microphone into the computer for recording via Adobe Audition, Audacity and other programs. Simply plug in your microphone and start recording direct within the editing program. However, you might also choose to record audio externally and then "import" it into the audio editing programs. Some students may choose to do this via use of a smartphone or camcorder. You simply transfer the recorded audio from your smartphone into the audio editing program. Here are some options for iOS (iPhone) and Android devices. Some of these apps are free while others charge a small fee. Before you buy any app (if you choose to do so), please make sure that the app supports exporting your recorded audio files from the app into your preferred audio editing program! In preparation for your own original audio report for this class, you might want to listen to some examples from professionals and even previous students for inspiration. "This American Life" recently aired multiple audio segments detailing the story of Dr. Benjamin Gilmer and the dark secrets he uncovered as he assumed new duties in a small, rural town. "This American Life: Dr. Gilmer and Mr. Hyde"
BBC Radio correspondent Kevin Connolly filed an impressive audio report on a British Libyan who was "willing to die" for his country's freedom. Listen to the following brief audio report and notice the power and impact of the interviewing techniques that are used to bring out powerful quotes and comments. Also notice that this particular interview has very few noticeable edits, yet the interview itself remains impactful. BBC News: "British Libyan 'Willing to Die for Country's Freedom'"
A critical part of being a good journalist is also being a good interviewer. Check out the presentation below to get tips and tricks on "best practices" for conducting an interview that gets the most information from your subject. You can use some of these tips to help bring out stronger quotes and better information for your reporting assignments in this class. Today in class, WSU Clinical Assistant Professor Ryan Risenmay discussed the many experience-driven program offered at the Murrow College, including the Scholars Programs, Solar Decathalon, Backpack Journalism and Global Expeditions. See his full presentation here. Do you need a refresher on "traditional journalism" reporting? For this style of writing, you should aim to be neutral in your voice and tone. You should also aim to report on something that meets the criteria of newsworthiness (as defined in the presentation below). Your new website needs MORE content! The second round of content for your site should be another traditional written reporting piece in a "feature" style. * Pay close attention to the opening of your piece. What type of feature lead will draw the reader further into the story? * Add context and perspective to your story by interviewing at least two original human sources. How will you weave the best quotes into your story? Review and discuss our first writing assignments. Discuss the "feature writing" format including "special leads"
Discuss and review interviewing "best practices"
Continue work on your second reporting assignment for which the draft is due on Sept. 29. Are you having problems with grammar in your writing? In addition to the built-in grammar checker in Word, there is a free plug-in that you can add from Grammarly.